The motivation for any physical activity almost always has a goal at the end of it. From achieving Olympic gold for the elite athletes to losing a bit of weight for those getting started, there will always be an end target. If you are using a Garmin device – which many more now are with the rise of fitness trackers such as the Garmin Vicosmart – then you will be able to track your health and activity on your device and Garmin Connect. 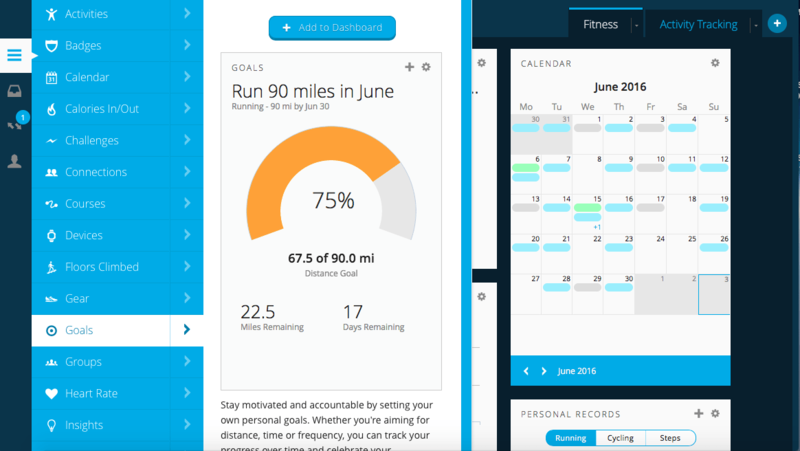 This can easily be done by setting up a goal or target for yourself to aim towards on Garmin’s online website, Garmin Connect. Goals are targets you set to help you achieve a short term objective. For example, if you set a target to run for 10 hours over the next week, your Garmin device will keep track of how much you actually ran. And you can see your performance against your goal on Garmin Connect or your Garmin device. There are different ways in which you can access the goals on Garmin Connect. On the new modern version, there are individual widgets which are on your dashboard. On the preset layout, there will be the ‘Goal’ widget already available. If you have removed this at any point, the page where your goals can be seen, past and present, can be found on the sidebar (where you can also add this widget back to your dashboard). 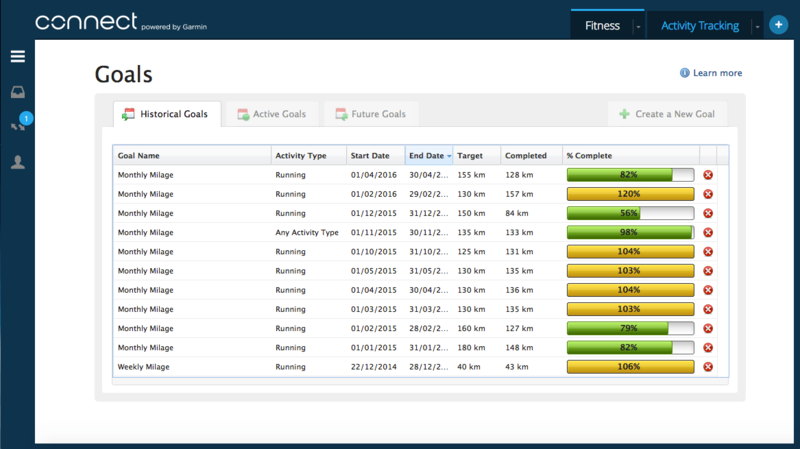 Click on the far left sidebar to bring up the range of health tracking options, clicking on the ‘Goals’ option. Click the ‘Create New Goal’ option on the top right of the page, taking you to the fields required to create a new goal. 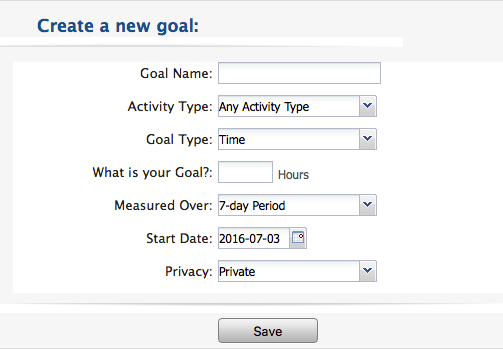 Once the goal has been created, you can view it in the ‘Active Goals’ section on the same page or on the Goals widget on he dashboard. This new goal which has been created won’t always show on the widget if a previous goal is still showing. 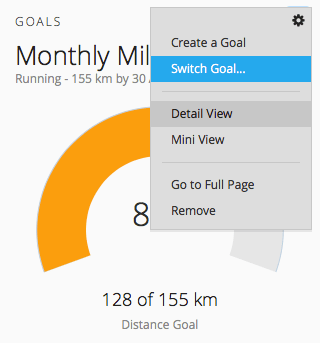 Therefore, by clicking on the setting button on the top right of the widget you can choose to ‘Switch Goal’ to any of your current active goals. Hopefully this has been useful and you can be successful in creating and hitting your goals. How do we edit end date of each goal. Currently it auto set to the distance of that activity. 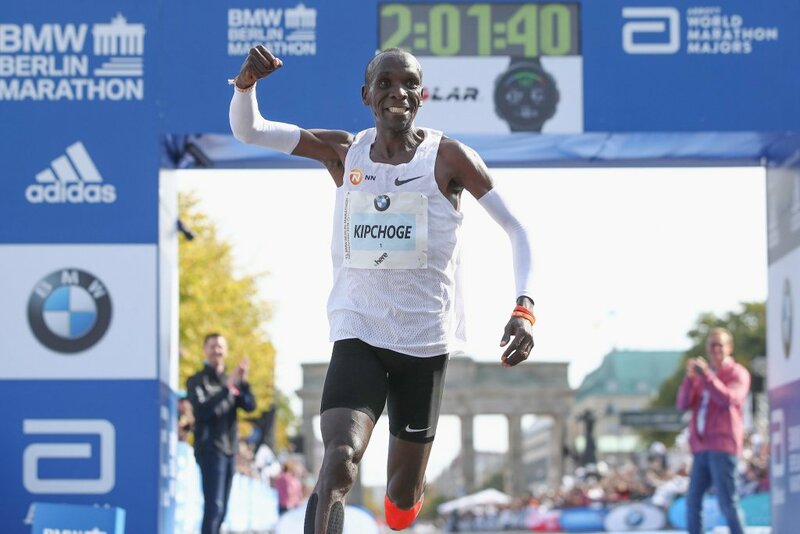 For instance i have a virtual run for 300km for 6mth period , instead it sets to a yr period. On the top right hand corner of the Goal ‘widget’ on the dashboard there is a settings wheel option. Click on this which will give a drop down menu; from here there is a ‘Edit Goal’ option which will take you to a page to edit the Goal parameters. I hope this helps you. OK then, i have been setting training time goals for each week, eg 5 hours, 6 hours etc. all working until i tried setting a 3.5 hour (or 6.5 hour goal) are we limited to whole hours? is there a way to set increments of an hour? ive tried entering (and saving) 3.5 hours, but it reverts to 3. ive tried 3:30 but the colon wont appear in the field. ideas please? Apparently not. It’s Nov 2018 now, and our friends at Garmin are still asleep at the wheel! Think the one drawback with this feature, and to my mind it is a big one, is that you cannot view your goals within the Garmin Connect app. This forces you to use the website version to see your progress. To me this defeats the purpose of the goals panel because of the inconvenience of having to find a laptop to see how you’re doing. Can I set a goal on Vivoactive HR? As said above is there no way to view goals on the device or Garmin app? set up a course at that length and put in the pace, then sync that course to your Garmin and go run it.I do this sometimes for my runs. Your wide information about connecting activity to connect will help you more to know about yourself. Garmin Connect is able to sync your devices. You have great description of contents. Keep sharing more information with us. We are the number one online resource for people wanting to upgrade their sat nav device and list all the information you ever needed to know about installing and downloading updates for your GPS. Have a look on this nice, and informative Blog on how to setup Incredimail POP3 and get the best outputs. Just in case, you face some kind of difficulty even after reading this then you may reach us by calling at IncrediMail Customer Service Number. There are is very informative and helpful blogs on our Website related to Hp Printers errors & Hp Printer Problem. So, whenever you get into the issues related to HP printer then feel free to get in touch with our experts via HP Customer Support Number. Excellent Blog, Thanks for sharing. If you are a Bitdefender Antivirus user and you are facing problems to update your Bitdefender Antivirus 2019 then, you should connect with our Bitdefender Customer Support experts to solve this issue. Thanks for sharing this innovative blog of Navigon Map Updates. If you have any type of help regarding to that blog then in that case you can visit aur website.